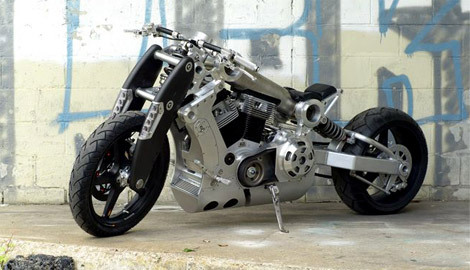 Stand out from the crowd with the C120 Renaissance Fighter Motorcycle ($110,000), brought to you by the Confederate Motor Company. 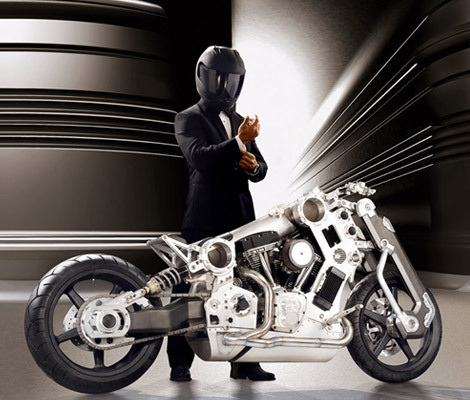 This motorcycle is strictly limited edition, only 45 in production, unveiled exclusively for the 2008 Neiman Marcus Christmas Book. 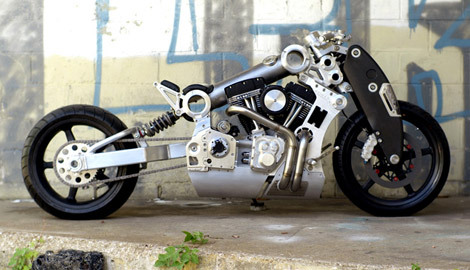 This machine features 190 mph of performance with 1966 cc V-twin engine, aircraft aluminum, titanium and carbon fiber chassis, and Pirelli tires all in a bold and unique "combat" design.